A sunken curse. A hidden faerie realm. To save her kingdom, one girl must discover the magic within her heart. In her quest to lift the watery curse, she soon learns there's more to her kingdom than meets the eye. Hidden in plain sight, she discovers the entrance to an enchanted faerie realm. As she learns that her canine companion is hiding secrets of his own, a surprising magic stirs deep within her. With help from her new faerie friend, Jessi must learn to harness her powers before the dark spell wears off and steals her loved ones' last breath. 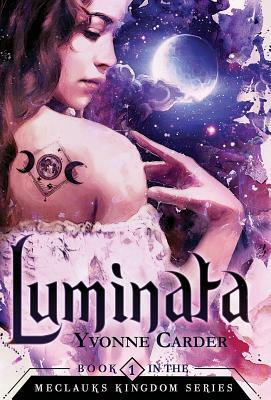 Luminata is the first book in the enchanting Meclauks Kingdom Young Adult fantasy series. If you like powerful sorcery, unique magical cultures, and faerie folklore, then you'll love Yvonne Carder's captivating quest. Visit www.yvonnecarder.com and sign up for Yvonne's newsletter and receive exclusive content and a free story for signing up.